When putting together the race calendar for this year, I attempted to figure out what my “big” races would be. My original plans were to race as part of Team USA in the Netherlands at the ITU Off-road Triathlon World Championships as my first big race. My second would be racing the road equivalent in London (ITU Triathlon World Championships). After digging into the off-road race, I discovered that the bulk of the race would be racing on the beach or on sand dunes. To me, that didn’t sound like much fun, especially given the price. 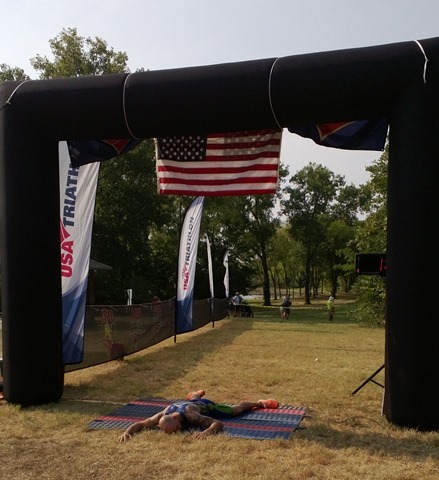 Where I REALLY wanted to race was at ITU Offroad Triathlon Worlds in Germany for 2014. Giving up the Netherlands race in 2013, however, meant I would also be giving up a spot on the team. Soooo, that meant I would have to re-qualify for 2014. I set off to figure out how since, in the past, the qualification had been fuzzy at best. 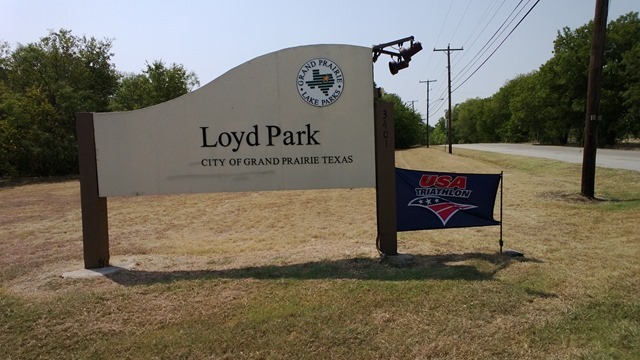 I discovered that this year, USA Triathlon would be holding their inaugural Off-Road National Championship in Grand Prairie, Texas, which would be the qualifier for Germany 2014. The problem? It was the same weekend as London (road triathlon worlds). So if I REALLY wanted to go to Germany, I’d have to also give up racing in London. After a quick calculation of the costs to fly to London, accommodations and a brief discussion with Mr. England himself, Peter Lilly, I decided to forego it as well. 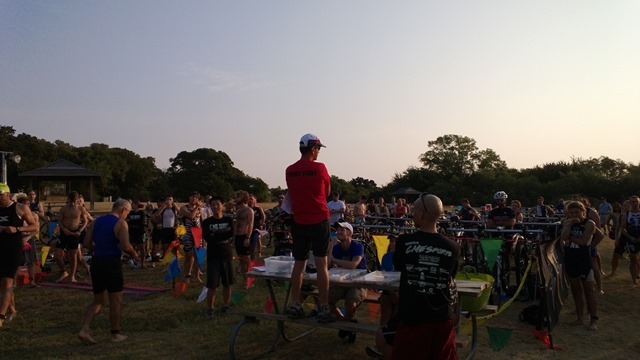 After racing a fun XTERRA season, joining the 325 club (grin) and qualifying for XTERRA Worlds, I set my sites (and training) on USAT Off-road Nats. Training went well despite a few injuries and setbacks. I felt good, but still worried that I was unprepared going into the race. Alba and I showed up a few days in advance to unwind from work and life while allowing some ample time on the course and acclimating to the heat. Indeed, the course was flat as a pancake and despite two creek crossings and some sand to contend with, it was a non-technical course. 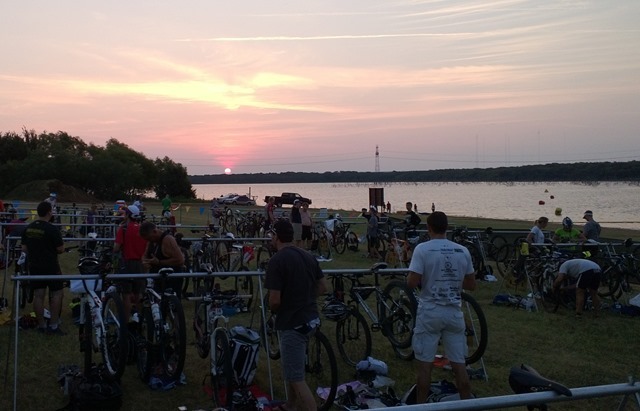 Race morning, the transition area was abuzz with locals, out-of-towners and a mix of XTERRA athletes. Lots of familiar faces such as Charlotte Mahan, May-Li Cuypers, Darrel McHugh, Victor Mason, and power couple, Steve and Melanie Etherton (to name only a few). It was good to see old friends and to make a few new ones. Mandatory pre-race briefing led right up to the start of the race, so there was no time for swim warmup. Bummer. We started off with a 600 meter swim. 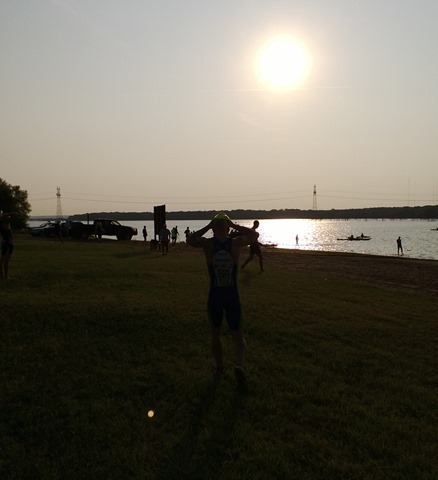 Even though it was a short swim, my swim felt “flat”, but I knew with the hot water and the upcoming hot bike, I didn’t want to overdo it. I may have been a bit over-cautious as my swim was waaaaay slower than I wanted it to be: 11 minutes, 12 seconds which was 20th fastest. Ugh. Coming out of the water with a herd of folks already in transition, I knew I had to make up time. I wasted as little time in transition as possible: 35 seconds (5th fastest). Since the bike course was flat and non-technical, the goal was to hammer it as hard as possible while still remaining upright in the turns. 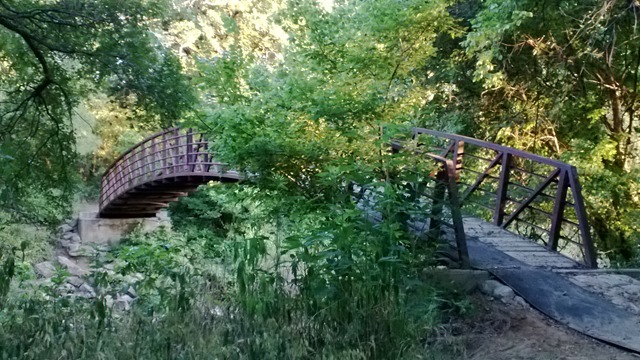 There was one small creek crossing, one larger one and a couple of bridges. Other than that, it was flat and sandy. Final bike time: 52:29, 10th fastest. Coming into second transition, there was a pack of 4 of us coming in at the same time. I noticed a couple of guys in my division, so again, the goal was to get in and get out asap. Racked the bike, ditched the helmet and put on my running shoes. T2 time: 22 seconds, 4th fastest. The run was more of the same sort of trails as we had just biked. Most of it was shaded with a couple of open spots where it felt like the surface of the sun. I managed to pass two more guys in my division to put me into first. I couldn’t catch the other 4 guys ahead of me (that weren’t in my division) and I finished up 26 seconds behind 4th place. Final run time: 16:25, 6th fastest. 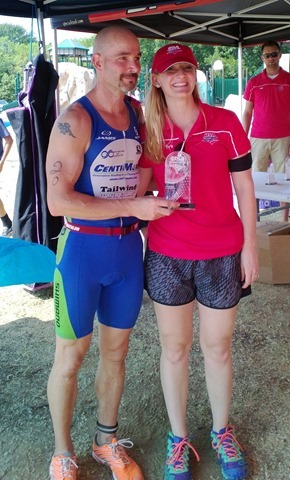 I finished 5th overall and 1st in my division and the first old guy over 40 (Masters) securing a National Champion title and a spot on Team USA. Going into this race, I expected it to be a lot “easier” given that it was flat and non-technical. Boy was I wrong. 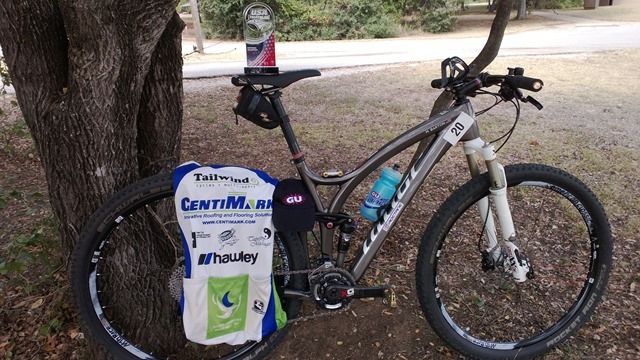 The effort expended may not have been horrendous climbs or gnarly, technical single-track, but it still was a tough race. You had to race hard to gain or maintain your position. Since there were no climbs, there also wasn’t any downhills to recover. This meant a sustained, hard effort for the duration of the race. It was a tough one for sure. 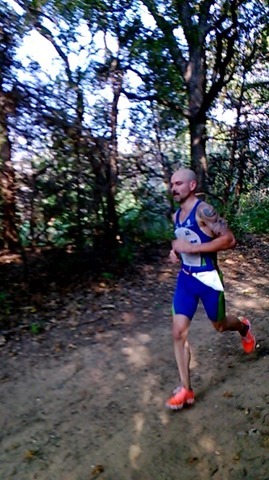 I am REALLY looking forward to being on Team USA for the 2014 ITU Cross (Off-road) Triathlon World Championships. It’ll be my fourth year on the team, and if all goes well, my third ITU World Championships participation. 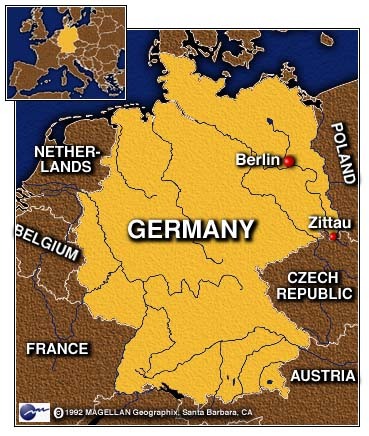 In 2014, they will be held in the small border town of Zittau, Germany. 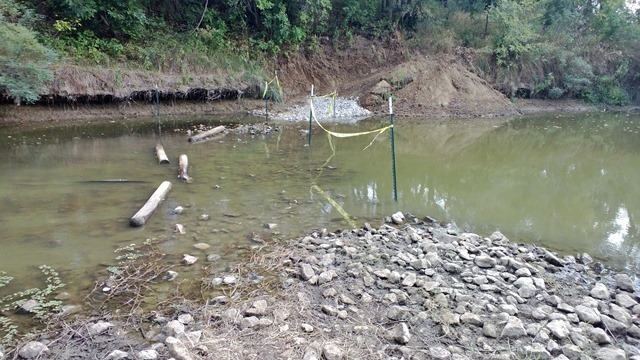 While cross triathlon normally consists of a 1km swim, 25km mountain bike and 6-8km cross-country run, Zittau has proposed a 1.5km (1 mile) swim, 36km (22 mile) mountain bike, 9km (5 mile) trail run course through the mountains. Sounds like my kind of race. Super special thanks goes out to Alan Tyson and team at Architect Sports and Physical Therapy for patching me up and making sure that despite injuries I could still perform at this tough event.